Some times a photo and results don’t tell the whole story and this meet was a case of that. 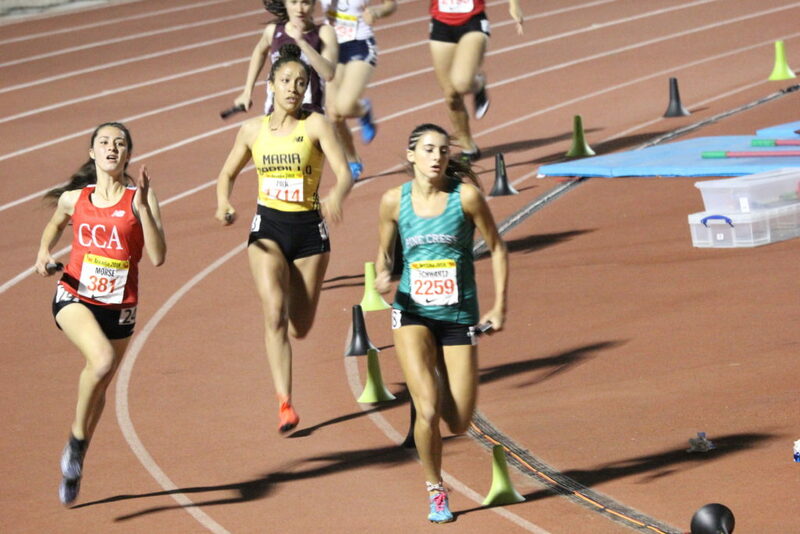 Gabrielle Peterson’s father, James, sent me photos from the meet of Maria Carrillo’s school record holding performance in the Distance Medley Relay and his daughter in the mile. The first three teams across the finish line are the three fastest in the nation this year. The Puma’s who finished 6th had the 10th fastest time in the US. 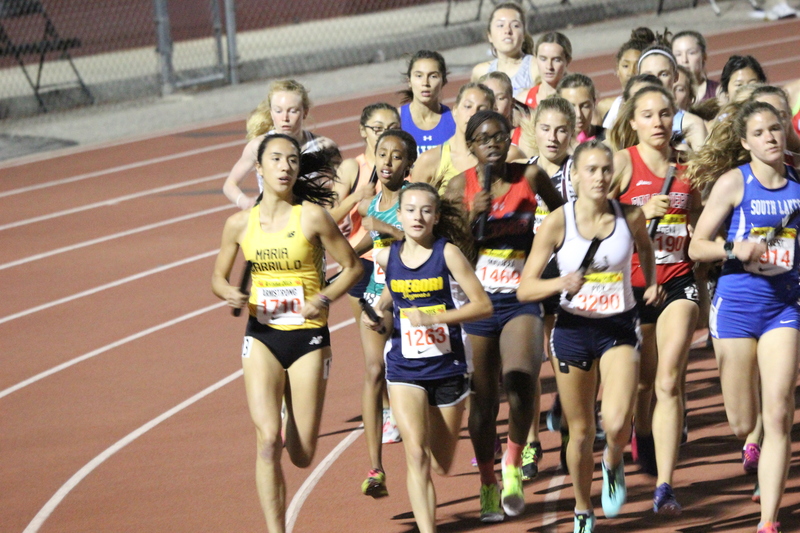 Only two teams, 1997 Santa Rosa anchored by Julia Stamps and 2010 Casa Grande team who I believe was anchored by Jacque Taylor have ever run faster from the Redwood Empire. Aimee Armstrong, 1710, leading off on 1200 meter leg. Assata Polk, 1714, running the 400 leg. Jasmin Hirth on the 3rd leg running the 800. 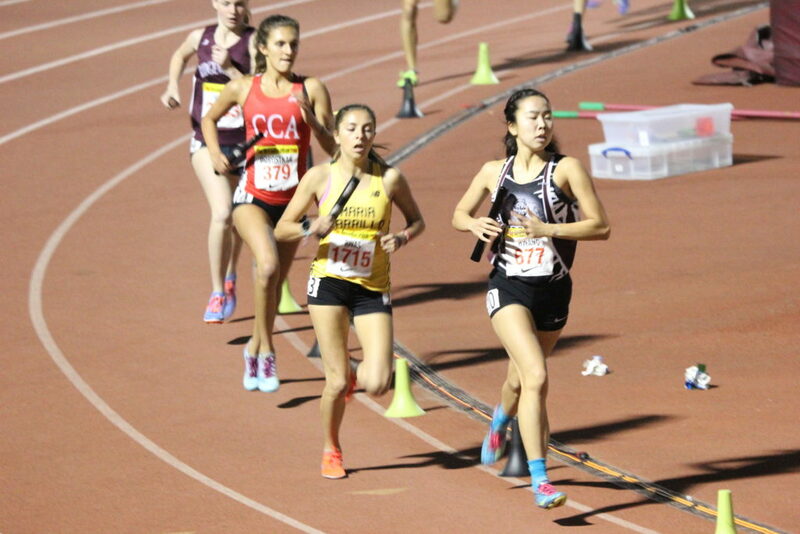 Sydnie Rivas, 1715, anchored the team home on the 1600 meter last leg. Now the mile had the real untold story. I watched the race live on the internet and Peterson was running well. She started near the end of the pack at the start but moved to to at least 4th as I watched as they came to the bell lap. 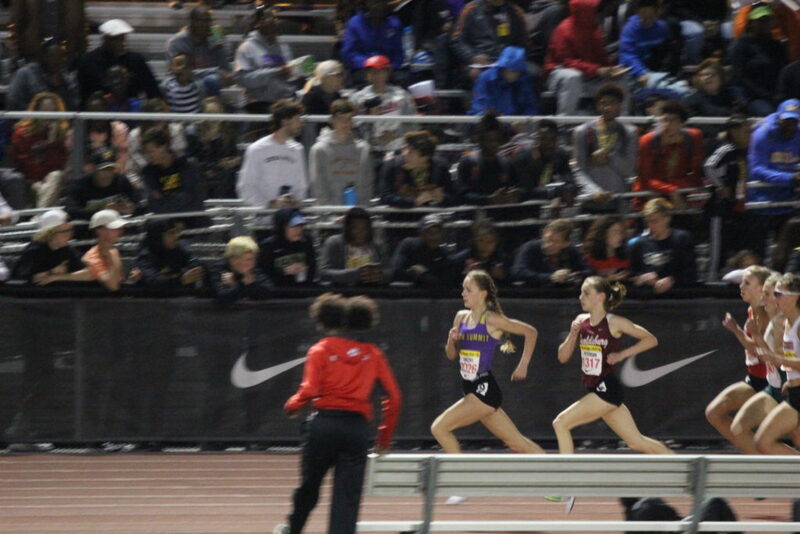 At that point McKenna Brown 4:49.63 and Madison Mooney 4:49.92 took off and the camera followed the two of them battle to the top two mile times in the nation this year. 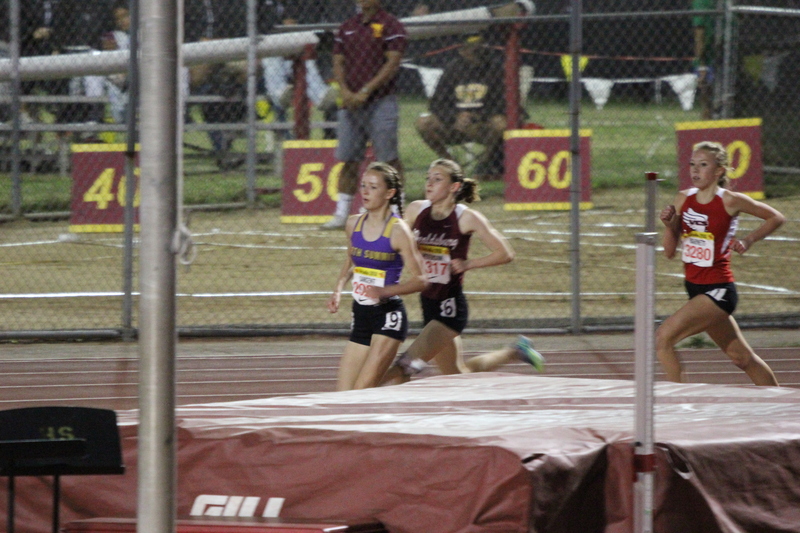 Never got to see Peterson’s last lap but when the results came up she was 9th at 5:00.20 and I guessed she had run out of gas. Word is she moved to 3rd with 200m left and got and got knocked down to the ground and trampled, still got up and finished strong though bloodied and bruised. 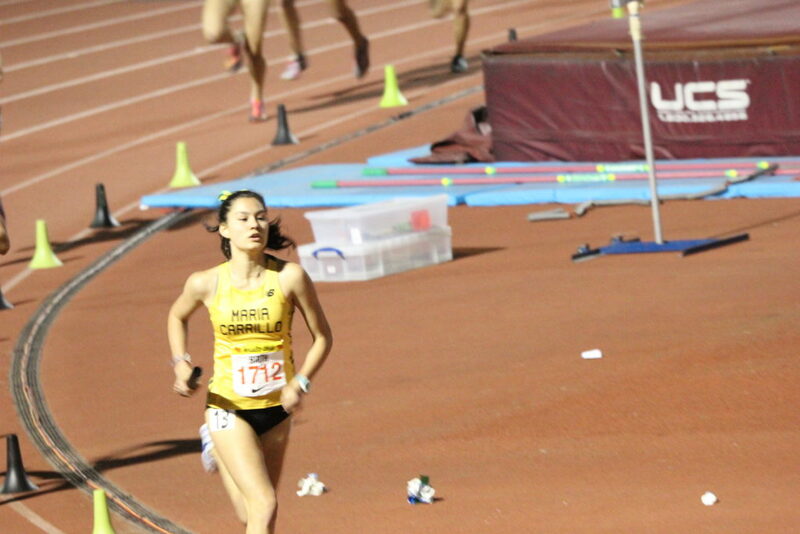 With 100m left to go she still crossed the 1500m mark at 4:38.97, 5th All-Time for the Empire. 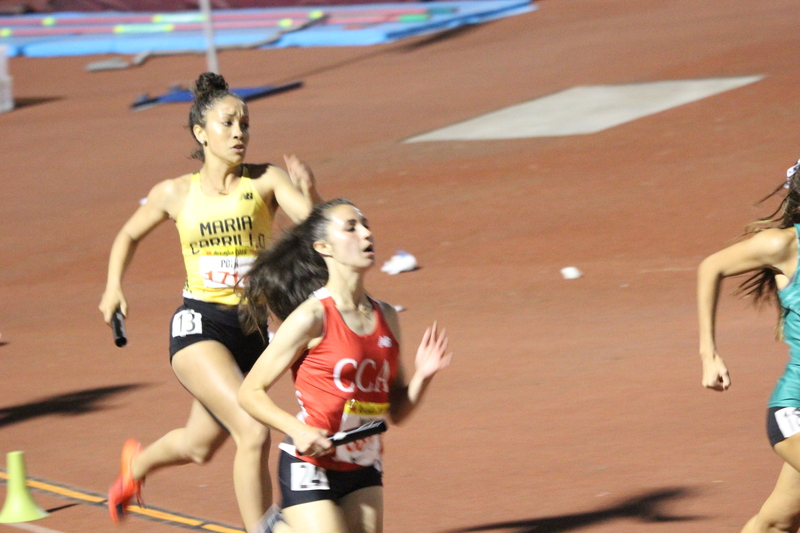 Th 5:00.20 time converts to a 1600 in 4:58.46. I’m not aware of any of our girls ever running a sub 5 after being knocked to the ground. 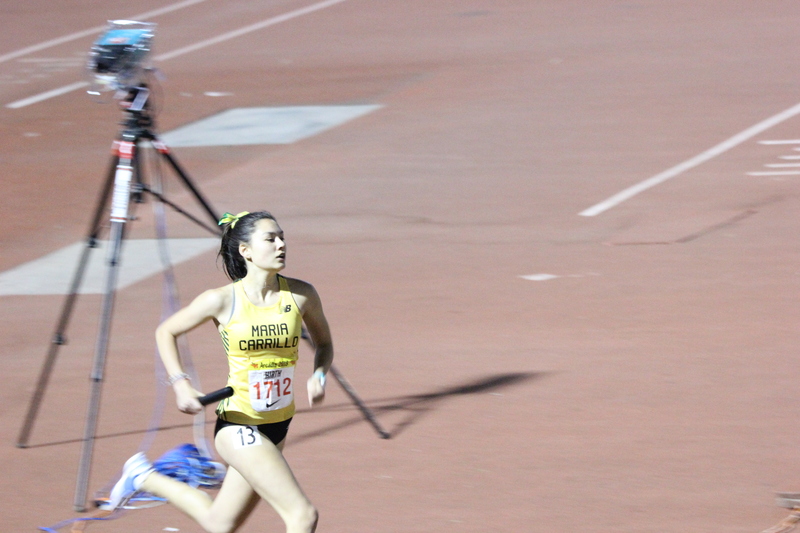 Her PR is 4:57.74. 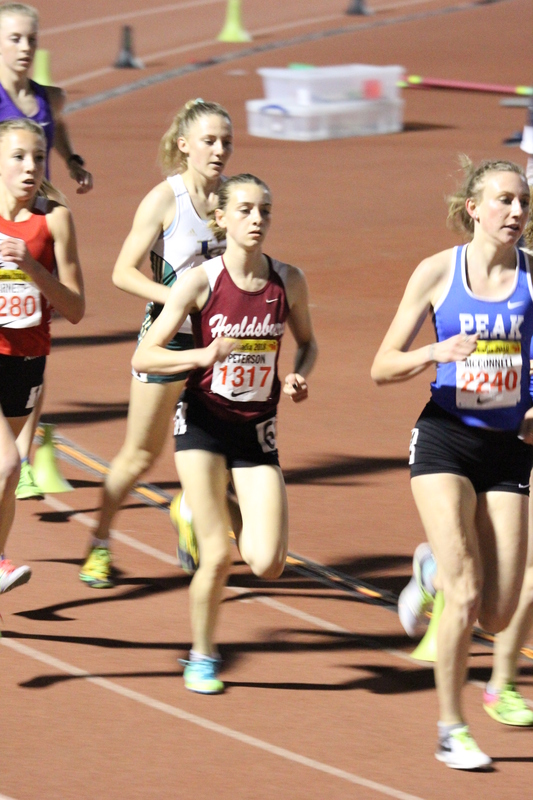 The third place mile time was 4:53.63 which had she stayed there would have moved Peterson past a girl named Kim Conley on our All-Time list. The photos that James took are pretty good considering it was after 8 PM at night when they were taken. 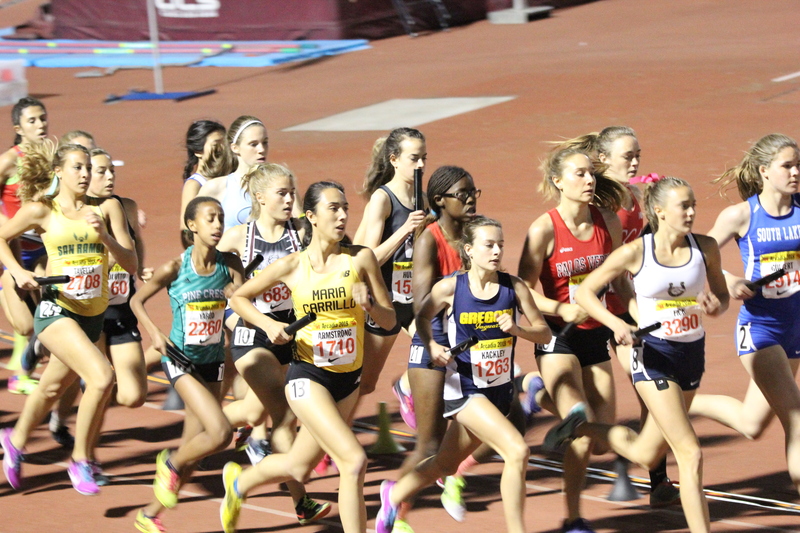 3 Great Oak                                          11:55.52, team ran 1 second faster at Stanford.